Support Hub City Writers Project's mission to nurture writers and cultivate readers in Spartanburg and across the Southeast. Over the last two decades, the Hub City Writers Project has become one of the South's premier literary organizations through its independent press, community bookshop and diverse literary programming. Based in Spartanburg, South Carolina, Hub City champions and supports Southern writers at every level and seeks to bring stories of Southern experience to a national audience. Hub City also provides educational scholarships, a national residency program, a book drive that places 4,000 books in low-income local homes, and hosts about 100 readings, workshops and other public events each year. 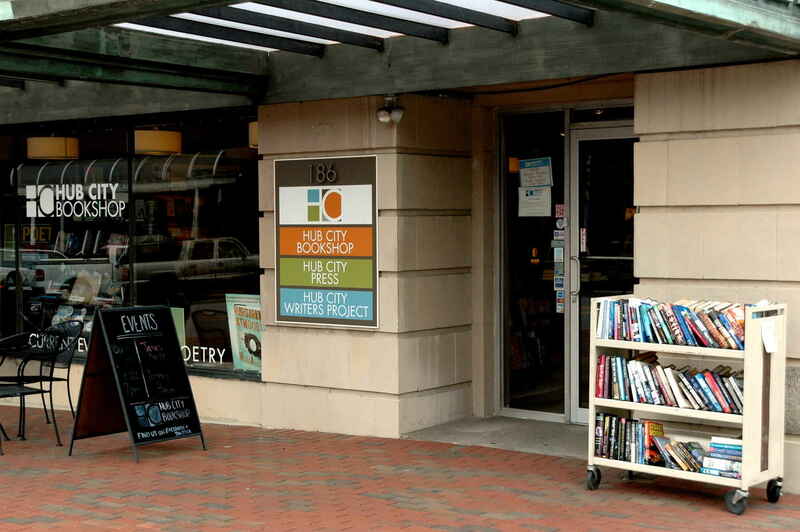 Many of these events take place in the Hub City Bookshop, opened in 2010 and recently named by Southern Living as "One of the South's Best Bookstores." Hub City Writers Project began as a press, and that remains our heart and soul. We publish five to six books each year, and our titles are distributed nationally by Publishers Group West. There are 80 books on our back list, and authors include Ron Rash, Philip Gerard, Kwame Dawes, Lee Zacharias, Susan Tekulve, Ashley Jones, Julia Franks, and Marlin Barton among others. Whatever amount, whatever frequency you can give, your generosity will help Hub City Writers Project continue to nurture writers and cultivate readers here in Spartanburg and across the entire South. Become a member of the Hub City Writers Project by supporting our organization with your tax-deductible donation. Our basic $30 membership provides discounts of 10-25% on all merchandise in the Hub City Bookshop, as well as discounts on our workshops and conferences. Make a donation of $100 and receive our twentieth anniversary edition of Ron Rash's Eureka Mill, with a forward from Robert Morgan and a note from the author. Make a donation of $150 and get Eureka Mill PLUS a limited edition hardback copy of Thomas McConnell's novel The Wooden King. Make a donation of $250, and get Eureka Mill PLUS The Wooden King AND Adam Parker's biography of Cleveland Sellers Outside Agitator, and Kathryn Scwhille's novel What Luck, This Life. Make a donation of $500, and get all three books PLUS two tickets to an upcoming press event AND your name on a plaque in the bookshop! These books will be delivered to you in fall 2017, in time for Christmas. Donate by June 15, and get your name listed in A Taste of Spartanburg as a sponsor! Hub City is a catalyst for development of both the individual mind and the entire city of Spartanburg. Go Hub City! As always, thanks for all that you do for reading, for writing, and for our community!